The Alcina Sensitive Facial Cream brings sensitive facial skin back into balance, reduces redness and relieves any unpleasant feeling of tightness. 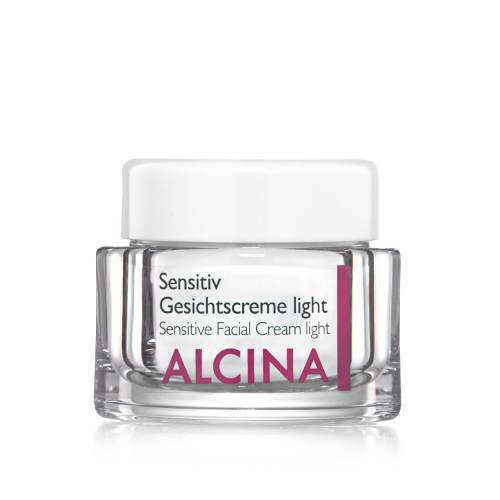 The Alcina Sensitive Facial Cream light with oat active ingredients and panthenol soothes irritated and sensitive skin. The Sensitive Facial Cream light brings sensitive facial skin back into balance and reduces redness. 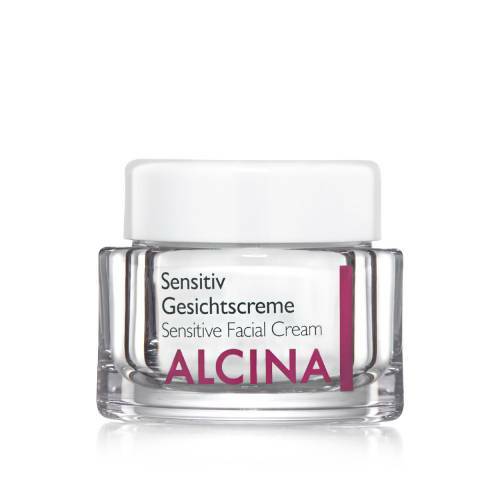 DescriptionThis unique Soft Peeling product developed by Alcina gently peels the skin without using abrasive particles. The facial peeling works as a highly effective enzyme-based foam. 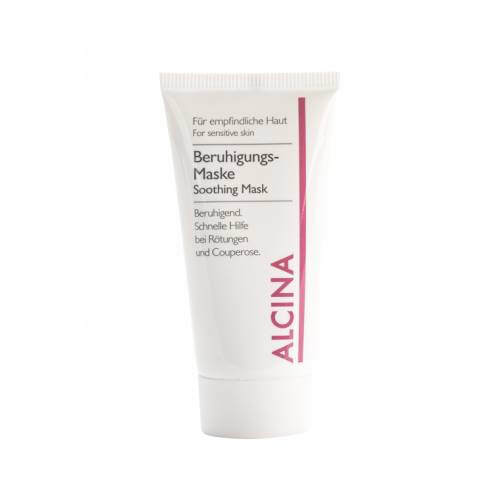 The peeling product tangibly improves facial skin, which means that Alcina Soft Peeling is also the ideal skin-care product for couperose and skin impurities. It is an all too common problem: A glance in the mirror and you see red! Fine bluish red veins on the cheeks and around the nose shimmer through the skin. This is often an indication of hereditary vascular dilation on the face, also known as couperose. It is important that those who suffer from couperose use the right skin-care products. The Couperose Facial Cream from Alcina with its special active ingredient complex gets to grips with these minor aesthetic defects. It has been shown to reduce redness of the skin and also to relieve flushing which is a frequent symptom of those affected. The results are long-lasting, highly effective and intensive. The Alcina Couperose Cream has been specially developed for hypersensitive reddened skin which is prone to couperose. Effective and natural ingredients such as phytoactive components, calendula and horse chestnut reduce skin redness, strengthen blood vessels and boost resilience to free radicals. The skin's condition is improved and soothed quickly and noticeably. In addition to the invigorating plant complex, the Couperose Cream from Alcina with its numerous nourishing active ingredients leaves the skin feeling soft and supple. The Couperose Serum from Alcina complements this rich calming day & night cream perfectly. Particularly positive results are achieved when used in combination. The connective tissue and vessel walls of sensitive facial skin are strengthened, the skin is gently soothed and redness is successfully neutralised. Alcina Couperose Cream restores the skin's natural balance. 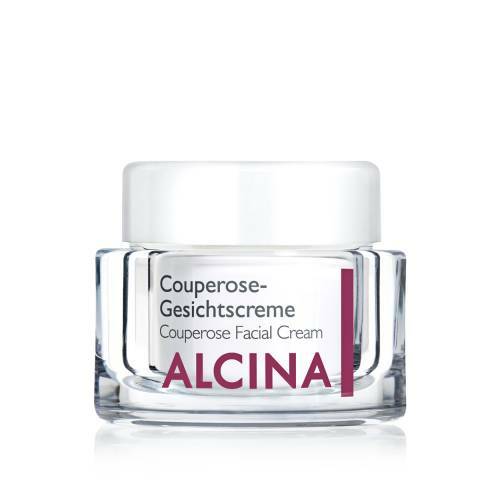 Skin redness is successfully reduced: The Couperose Facial Cream from Alcina strengthens and soothes the skin with its unique active ingredient complex. Extremely common, harmless yet unattractive: The hereditary condition of couperose is associated with reddened facial skin on the nose and cheeks in particular. Those who are prone to couperose should set great store by the right skin care and protection and opt for an effective active ingredient complex which reduces redness. 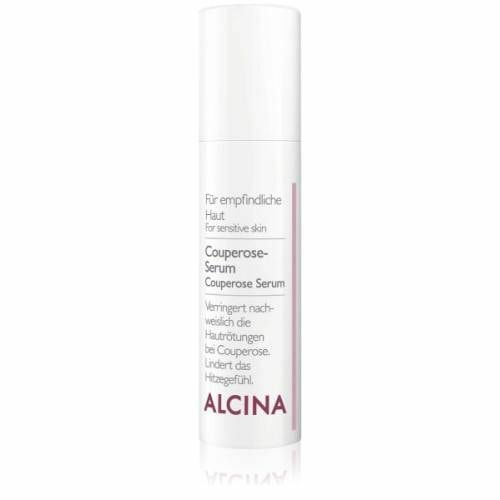 The Couperose Serum from Alcina provides effective relief. With its innovative active ingredient complex this intensive concentrate has been shown to reduce the bothersome skin redness associated with couperose and also to alleviate the frequent problem of flushing for results which can be seen and felt. The Couperose Serum from Alcina is the ideal product to treat red skin. Essential ingredients such as phytoactive components, calendula and horse chestnut reduce redness, invigorate the vessel walls and improve resilience to free radicals. The moisturising concentrate is quickly absorbed by the skin and helps to both soothe and invigorate sensitive facial skin. The reemergence of reddened skin and fine red veins is effectively prevented. The skin's even complexion is restored. The highly effective concentrate Couperose Serum from Alcina is the ideal solution for treating the special needs of skin affected by couperose. Say goodbye to red skin on the nose and cheeks. The Couperose Serum from Alcina is a highly effective concentrate which has been specially developed with the needs of couperose skin in mind. Mask containing intense moisturizing and calming substances is a quick help for sensitive, reddened skin and with couperose.